Happy hump day Lovely Happenings readers! 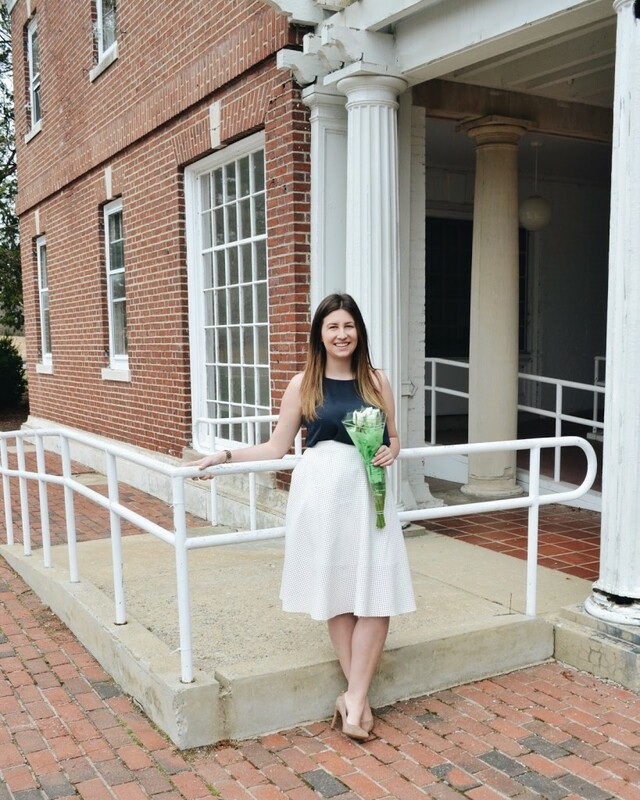 I’m Caroline, the fashion and lifestyle blogger behind When & Wear. To tell you a few things about myself – I’m a student at NYU, my style is a mix of New England nautical and NYC edge, and I wish every meal could be brunch. I’ll be speaking on the fashion panel at the next Lovely Happenings event with a few other amazing bloggers to tell you more about spring and summer fashion! 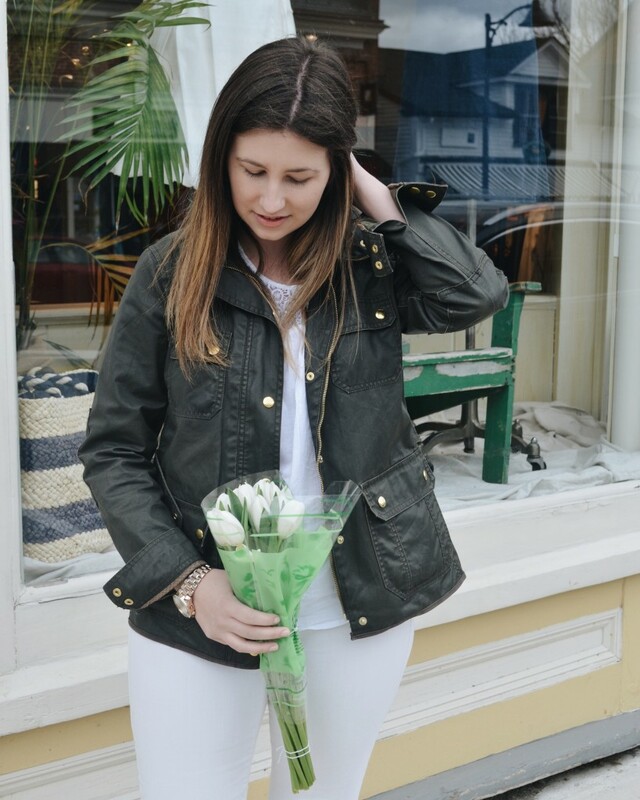 With less than a month until the event though, I’m here today to help you get a jump on spring fashion so you can start figuring out your outfit for April 23rd (because you know that’s all I’ve thought about!). After months of wearing black and grey, switching into spring mode isn’t easy for me. I instinctively reach for black jeans and a dark t-shirt and then throw my black leather jacket on top, but all that black is a serious downer when the sun is shining and flowers are blooming. At the same time though it feels wrong to wear a white lace dress just yet, so I’ve started slowing working white pieces back into my wardrobe by pairing them with dark neutral colors. This spring there have been two white pieces in my wardrobe I can’t get enough of. 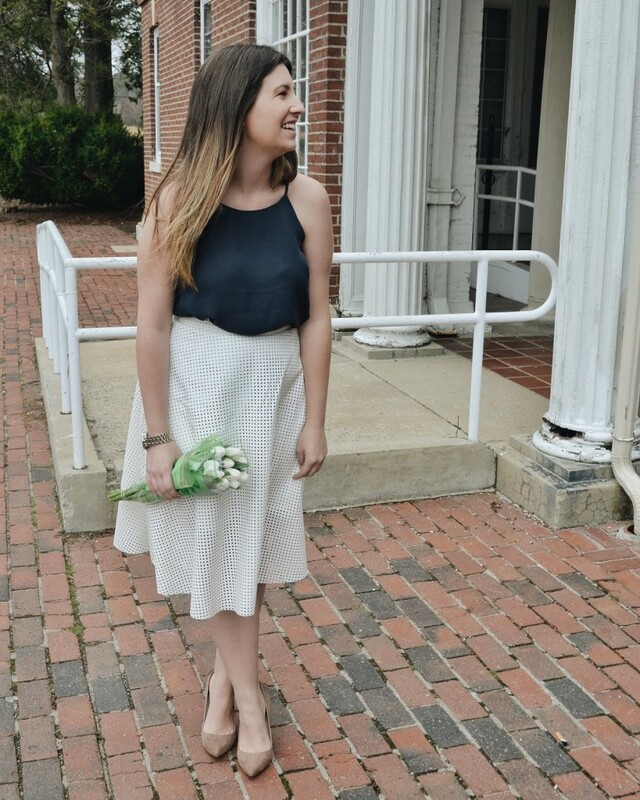 The first are classic white jeans and the second is a new addition, a white midi skirt. As I’ve started getting out of my all black rut I keep finding myself wearing the jeans on casual weekend days and the skirt for all my dressy events. 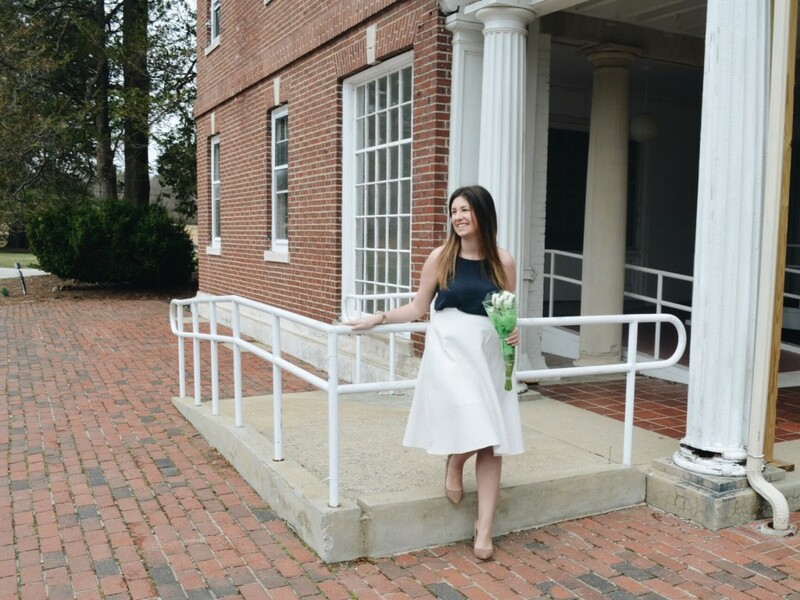 A white dress is a summer event go-to, but for spring I like to mix things up and pair the skirt with a darker blouse. Then in a few months when summer is (finally) here I’ll start pairing it with baby blues or bright coral. Also, while I love a white jeans & white blouse combo it honestly makes me feel a little too exposed in early spring. So for running around doing errands on the weekend I’ll toss a darker field jacket on top or even pair the look with cognac booties. Then when the weather warms up I go sans jacket and bring a light grey sweater for chilly evenings. 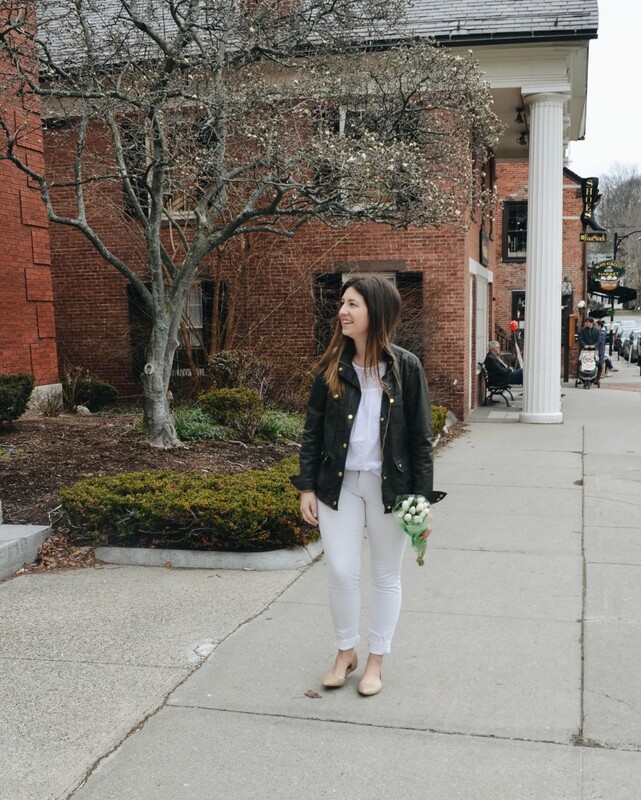 I’d love to hear all your tips for bringing white back into your wardrobe during the spring. Do you dive in headfirst or slowly start bringing pieces back?